I recently read this fantastic blog post on one of my favorite food/lifestyle blogs, Inspiralized, in which the blogger Ali talks about the pressures of living a “healthy” lifestyle to the point where it becomes unhealthy. In a particularly apt paragraph, she writes how, according to mass media, if you’re not avoiding gluten and sugar, eating only organic, tracking your sleep, taking essential oils and collagen, using recyclable products at all times, and so on, and so on, then you’re not living your healthiest life (with the unspoken follow-up that you should be). Essentially, what I took away from her argument is that the media has put so much pressure on people to be their healthiest selves that it’s become unhealthy, and we as a society pressure and shame each other when we disagree with how we see someone living their life. The point of this? It got me thinking about where else I see this type of pressure and shaming taking place. To be honest, I see it in many aspects of life (e.g., if you’re not doing x, y and z at work or doing x, y and z as a mother, you’re not being the best employee, parent, etc., etc. ). For the purpose of this blog, one aspect I want to hone in on is the pressure and shaming that takes place when it comes to travel. 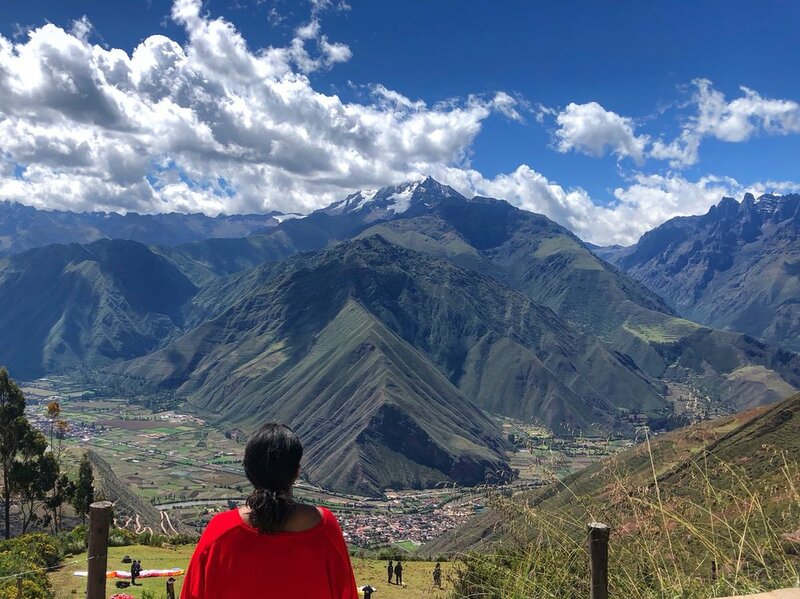 Granted, travel shaming is not nearly as important an issue as something like parent shaming, but I still feel like it’s becoming more pervasive as more people seek out experiences around the world. People also have opinions on how one should travel as if there’s only one ‘right’ way to travel. There are different ways that people think of travel shaming but it all boils down to someone shaming someone else, or making that person feel bad, for the way that person travels. In travel, there’s shaming and judgment if someone travels too much or too little, or their travels are too mainstream and not “authentic” enough. Whatever the case may be, people have opinions. Just like people have opinions on many other things that make up one’s life, people also have opinions on how one should travel as if there’s only one “right” way to travel. An example of this would be if someone told me they went to Paris and London for a week, and when I asked what they did, they listed every typical tourist activity known to man, and I judged them or shamed them for traveling like a “tourist” instead of a “traveler” (this is really a thing in the travel industry). Or, if someone told me they have no interest in traveling and I shamed them for this. But why do we do that? Why can’t we just keep our opinions to ourselves and let people travel (or not travel) how they want to? If they want to go to Paris with a French beret and a baguette and spend all their time going up and down the Eiffel Tower, then so be it. That’s their choice. If they want to stay home and not go anywhere at all, I may not agree with it personally, but again, that’s also their choice. It’s not my place to tell people how they should travel. Truthfully, I say all of this as a reminder to myself because I know I’m guilty of doing this at times, even if I’m only thinking it and not verbalizing it. At the end of the day, even though I’ve traveled all over the world and have had some truly incredible experiences, it’s not my place to tell people how they should travel. I can make suggestions and arguments for why travel is important and amazing, but I shouldn’t consciously make anyone feel lesser than for their travel choices (not that I think I do this but I’m sure I have at some point). Just as Ali said that people should do what’s best for them when it comes to their health, I believe people should travel in whichever way works for them. Own it, experience it and enjoy it.